Hockessin is a community that is located in Northern Delaware just a short drive from Newark. It is situated within the northern section of New Castle County along the border of Pennsylvania. Several notable people once lived in Hockessin including professional boxer Bernard Hopkins, major league baseball player Tony Graffanino and jazz singer Cab Calloway. The territory known as Hockessin today was founded in 1688 when several European families settled in the area. They named the little village Hockessin after the Lenape word hokesa, which translates to pieces of bark. At this time, the community was mainly dependent on dairy and mushroom farms. Today's Hockessin maintains its natural beauty; however, it is also home to a variety of large and small businesses. People living in Hockessin enjoy access to dozens of attractive parks within New Castle County. A few of the most noteworthy parks in the area are White Clay Creek Park, Ashland Nature Center, Mt. Cuba Center, and Swift Park. Finding fun attractions in Hockessin is not difficult. There are many locations here that offer entertainment for every member in your family. Some of the best family friendly attractions near Hockessin include Wilmington's Western Railroad, Woodside Creamy, the Hockessin Library, and Hockessin Athletic Club (aka the HAC). When you become a Hockessin home owner, you will have the opportunity to come together with other residents and enjoy various events held within the community. A favorite event among people living in Hockessin properties is the Annual Hockessin Art Festival. This event takes place in March and features train rides and a delightful variety of art exhibits, tasty snacks and door prizes. Another popular event that is the Annual Hockessin 4th of July Event. The main highlights of this event include a magnificent parade, relay races, a fun run, a softball toss competition, a long jump competition and a spectacular fireworks display. Are you in the market for a home in Delaware that offers beautiful scenery and a vast array of fun attractions? 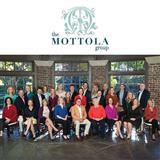 If you are, the Mottola Group can help you find the ideal home for you and your family! Take a minute to speak with a member of their team, and we will show you any current homes for sale in Hockessin.